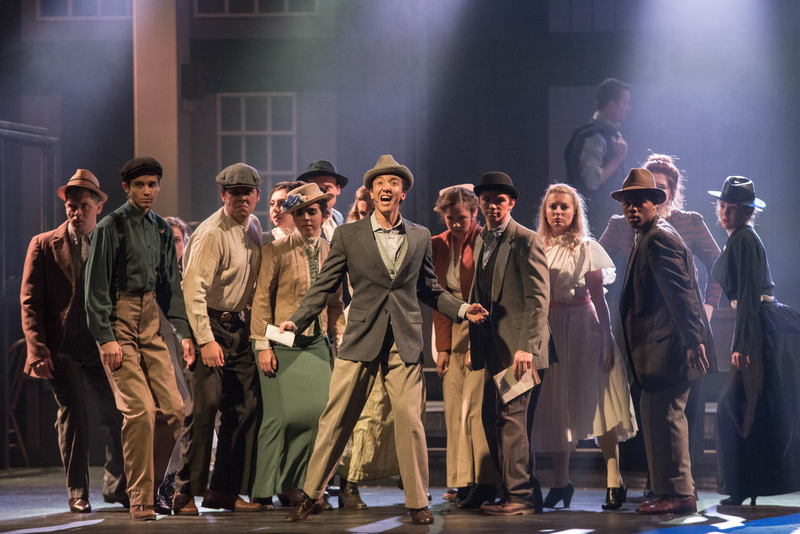 Belmont University’s Musical Theatre performance of “Parade” was recently announced as the 2017-18 winner of The American Prize in Musical Theater Performance. The show was selected from applications reviewed from all across the United States. The American Prize is a series of new, non-profit competitions unique in scope and structure, designed to recognize and reward the best performing artists, ensembles and composers in the US based on submitted recordings. The American Prize was founded in 2009 and is awarded annually in many areas of the performing arts. Telling the tragic, true story of the trial and lynching story of a man wrongly accused of murder, Parade is brought to theatrical life with soaring music and a heart-wrenching story. The show offers a moral lesson about the dangers of prejudice and ignorance. Belmont’s production ran for four performances in Massey Concert Hall November 2016. Winners of the Prize receive cash prizes, professional adjudication and regional, national and international recognition based on recorded performances. In addition to monetary rewards and written evaluations from judges, winners are profiled on The American Prize websites, where links will lead to video and audio excerpts of winning performances. The American Prize National Nonprofit Competitions in the Performing Arts grew from the belief that a great deal of excellent music being made in this country goes unrecognized and unheralded, not only in our major cities, but all across the country: in schools and churches, in colleges and universities, and by community and professional musicians. The Prizes are selected by a panel of judges, representing a variety of backgrounds and experience, including distinguished musicians, professional vocalists, conductors, composers and pianists, tenured professors and orchestra, band and choral musicians.